During 2014 BSG Ecology provided training to two Master of Science students at Swansea University in order to help them develop their ornithological field skills. This enabled them to complete research projects on a species of particular local interest, Dartford warbler. The partnership was facilitated by the Access to Masters initiative, which is backed by the European Social Fund. In this short article, Hannah Meinertzhagen summarises the findings of her study, and the benefit she got from partnering with industry professionals. As part of our Masters at Swansea University, I spent the summer studying the Dartford warbler (Sylvia undata) on the Gower Peninsula, South Wales alongside another student (Julian Trevino-Villarreal). The project was supported by BSG Ecology through the Access to Masters (ATM) scheme which facilitates collaboration between the University and local companies. Dartford warblers have a primarily Mediterranean distribution, but can also be found in the southern counties of England. Under the influence of climate change¹,² Dartford warbler distribution is undergoing a northwards range shift, which has led to the establishment of the species on the Gower Peninsula over the last 14 years. This new colonisation presented a unique opportunity to study the Dartford warbler (which is a species of international conservation concern) at the extreme northern limit of its range. Prior to our work, detailed research on the habitat preferences (and to an extent the distribution) of the species had not been completed in South Wales. 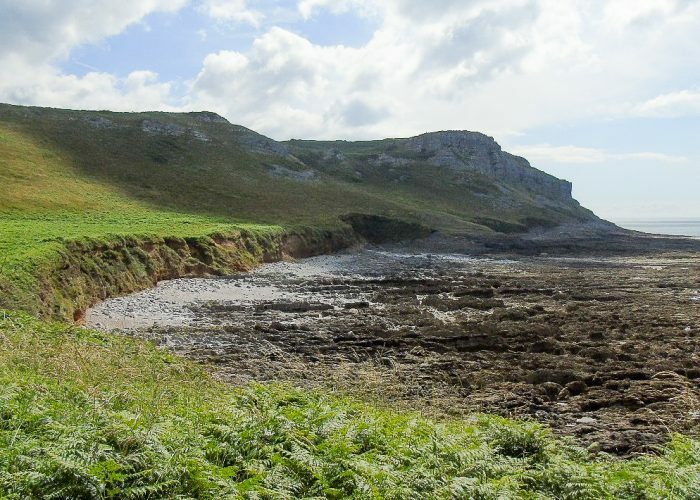 The overall aim of the project was to identify the habitat types that characterise Dartford warbler territories³ on the south coast of the Gower Peninsula. As the Dartford warbler is a protected bird, all fieldwork was conducted under a Schedule 1 Licence4 granted by Natural Resources Wales. The first stage of the project was to locate the Dartford warblers. This was carried out with the help of Owain Gabb of BSG Ecology and involved walking the coast path in search of sites that held suitable habitat or and surveying areas that he had recorded Dartford warbler territories in previous years. Locations at which Dartford warblers were present were called sites (but these were not necessarily territories). The boundary of each site encompassed the distribution of Dartford warbler sightings and a buffer area around these. The next stage was to map the habitat at each site. This was done by classifying habitat patches according to the single most dominant habitat type present. Three height categories of gorse scrub, which is the favoured habitat type of Dartford warbler, were also recorded (Short: < 0.5 m, Medium: 0.5 – 1.5 m, Tall: > 1.5 m) as habitat structure is thought to be important to this bird species. These habitat patches were hand-drawn onto satellite images and subsequently digitised using GIS software to produce a mosaic of colour-coded polygons which represented the different habitat patches. Once the birds were located (through a combination of aural and visual survey) and the habitat mapped the Dartford warbler detailed observation commenced. Training in the identification of the birds through both song and visually was provided by Owain Gabb during the course of field trips to the Gower and bird ringing sessions. Armed with our newfound knowledge we headed out to the Gower to record how Dartford warblers utilised the habitat. Each site was visited on three occasions during which our surveys consistently began at 1 hour after dawn and lasted for 5 hours. Dartford warblers were found to be present at seven sites along the south coast of the Gower Peninsula. Of these seven sites, six were confirmed as breeding territories. The most abundant habitat types over all the sites were gorse (Ulex europaneus) and bracken (Pteridium aquilinum) which accounted for 56 % and 28 % of the combined area of all the sites respectively. Of the different gorse heights medium gorse was the most abundant. The Dartford warbler surveys revealed that 94 % of sightings occurred in gorse, with 72 % in medium height gorse, suggesting that this is particularly important to Dartford warblers. Bracken however, only accounted for 8 % of sightings, which suggests that despite its abundance it is far less important to Dartford warblers on the Gower. It is unlikely that the large proportion of sightings within gorse was due simply to the prevalence of it, because it appeared that Dartford warblers actively selected to utilise the gorse. 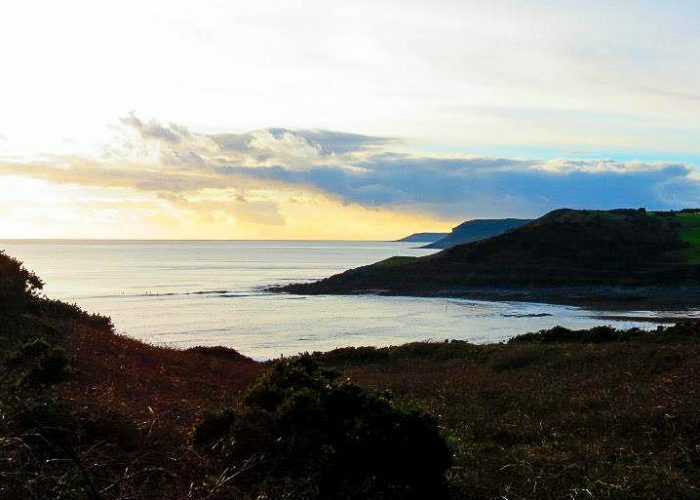 For instance, although the site at Rhossili comprised very little gorse, all sightings occurred within it. Gorse might be favoured by Dartford warblers due to its high invertebrate biomass5 which is likely related to its year-round flowering and evergreen nature. The dense and spikey structure of gorse also provides protection from both the weather and predators. In contrast, bracken harbours fewer invertebrates and provides less protection due to its structure. This project emphasises the importance of gorse, in particular that of medium height, to breeding Dartford warbler. It also highlights the potential issue of the encroachment of bracken. The results suggest that maintenance of gorse at a height of 0.5 m to 1.5 m coupled with the control of bracken, would benefit breeding Dartford warbler on the Gower Peninsula, South Wales. The South Gower coastal cliffs are subject to various statutory designations, and are predominantly managed for their limestone plant communities (which are of European importance). However, the findings of the work show that any large stands of gorse that can be maintained have the potential to support Dartford warbler. The support and involvement of BSG Ecology helped us to define the scope of our University projects by identifying topics that require further research. It also helped us in locating study sites through the provision of historical records and various field trips to the Gower with Owain. However, the most valuable, albeit challenging, skill we have gained from this partnership is the ability to identify the birds through both song and visually. This is a key skill in the field of ornithology which we can now develop further to enhance our future employment prospects in the ecology sector. 1 Huntley, B., Green, R.E., Collingham, Y.C. (2007). Climatic atlas of European breeding birds. Lynx Edicions, Barcelona. 2 It is widely considered that climatic change in the UK, resulting in warmer summers and milder winters should encourage its spread here (see e.g. the RSPB website) . However the impact of climatic change on Dartford warbler is currently the subject of academic research by Cambridge University. 3 In this project a Dartford warbler territory was defined by the presence of a singing male and/or the observation of breeding activity such as an adult bird carrying a prey item. 4 Schedule 1 of the Wildlife and Countryside Act 1981 (as amended). 5 Price, E. (2003). Lowland Grassland and Heathland Habitats. Taylor & Francis, London.